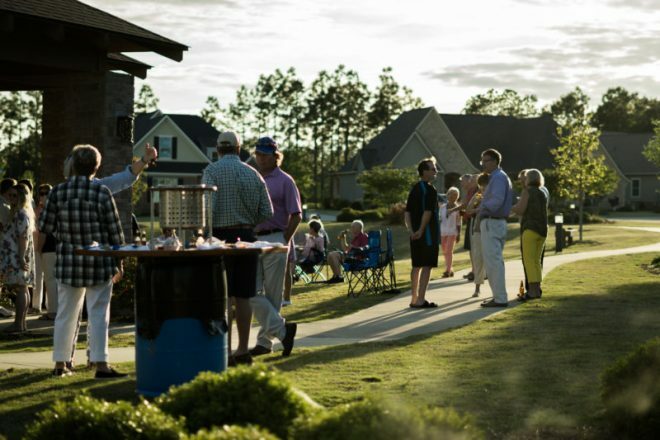 Woodside’s commitment to creating public gathering spaces, one of the factors that has earned our Southern Living Inspired Community designation, has had a powerful effect on the social atmosphere fostered here. 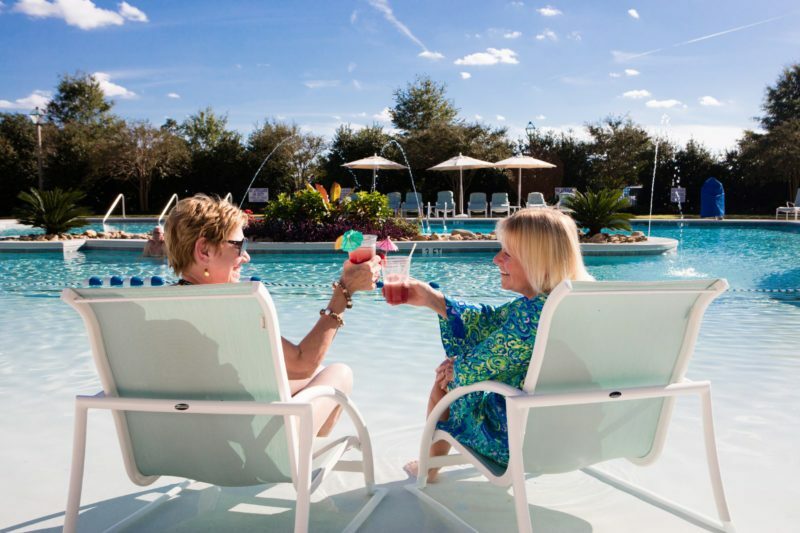 While the talented staff at The Reserve Club at Woodside is always working to plan events and create opportunities for our members to connect with one another, we’re fortunate to be home to a group of social and welcoming neighbors who plan just as many of their own events! 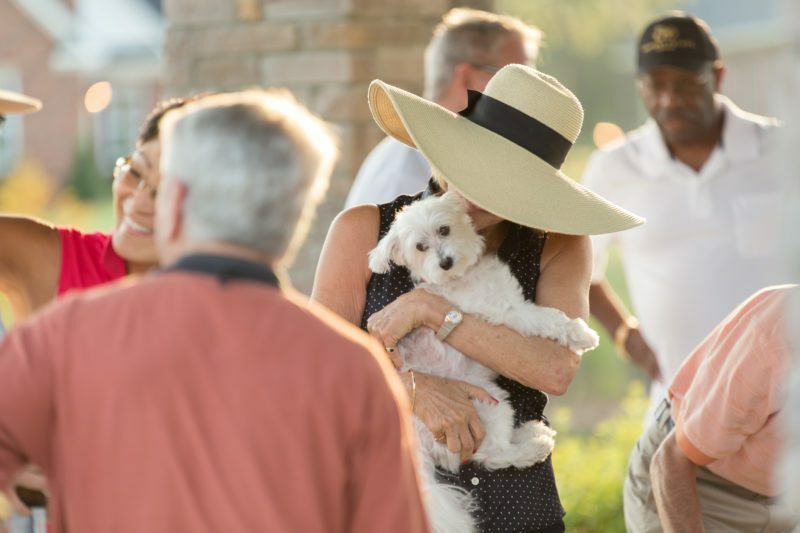 Read on to learn more about neighborhood events that typically take place within Woodside’s parks, and see just how easy it is to form lasting relationships when you call Woodside home. The Summer Hill neighborhood is an excellent example of a neighborhood who takes full advantage of Woodside’s parks, and of one another’s company! Check out the video here of the neighbors at their weekly “Winey Wednesday,” Oyster Roast Shellebration themed! Each Wednesday, you’ll find the neighbors of Summer Hill enjoying Summer Hill Park’s stone gazebo and pond setting while connecting with one another over a glass of wine. 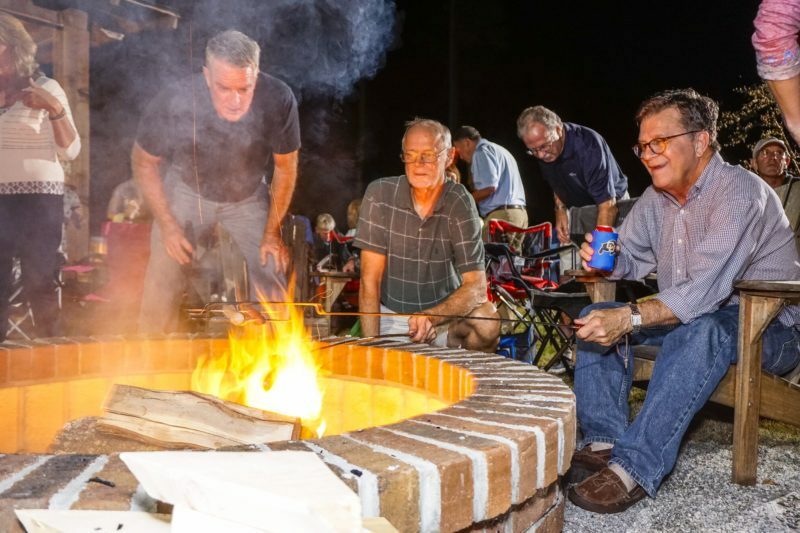 In the fall, neighbors near The Meadows Park with its fire pit and covered pavilion gather together for hot dog roasts and fellowship. Four-legged family members always welcome! 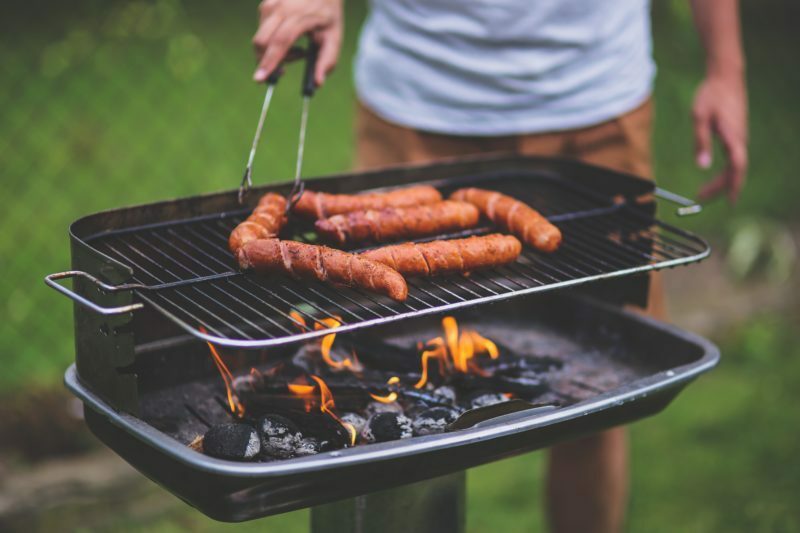 Who doesn’t love a good cookout? Neighbors in The Village at Woodside get together in Village Park West to enjoy hamburgers, hot dogs, and catching up with new neighbors and old friends! 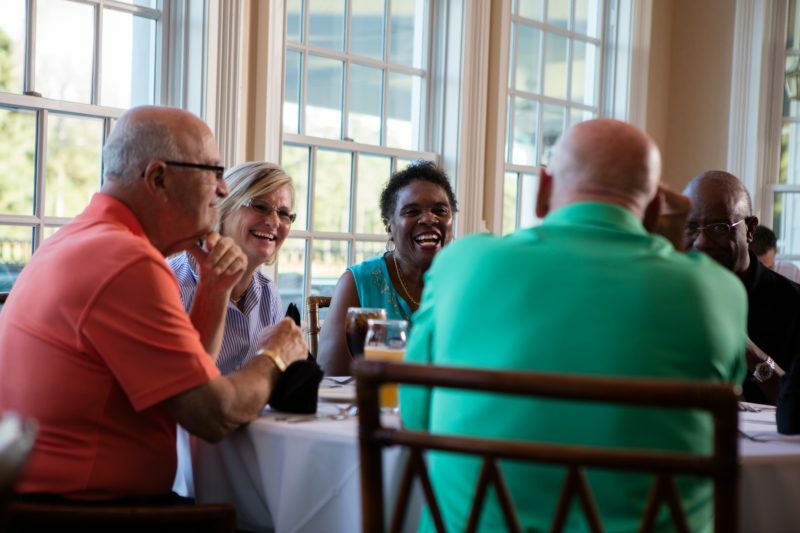 Each month, the neighbors in Grand Haven come together for a neighborhood dinner at one of Aiken’s local restaurants! This is just one example of many of this very social neighborhood’s group events. 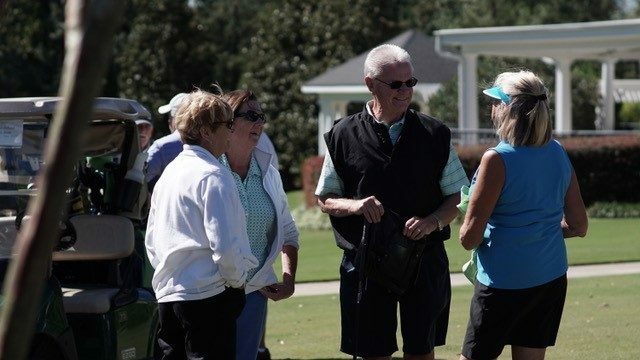 The neighbors in Hollow Creek plan a full weekend each year filled with golf, tennis, pickleball and group meals: the Hollow Creek Social! 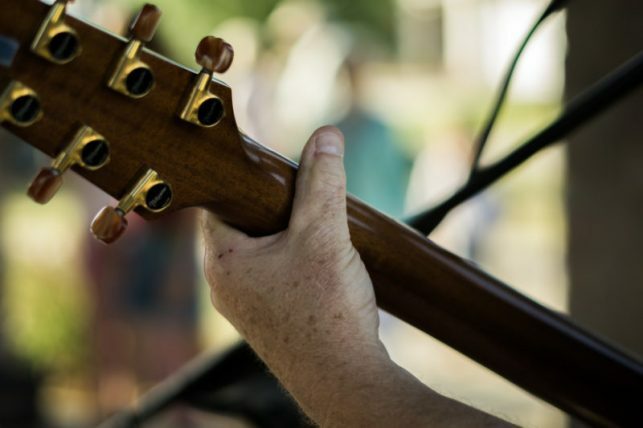 It’s the perfect opportunity to connect with neighbors and enjoy Aiken’s mild year-round climate. Don’t just take our word for it! 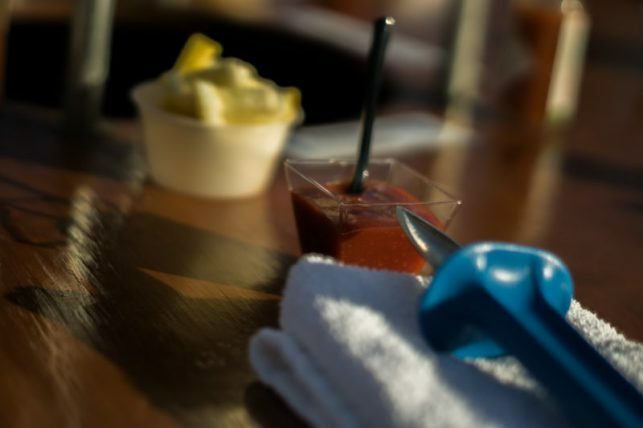 Come experience Woodside’s social atmosphere today.